Provide comfort for the family of Nancy Williams with a meaningful gesture of sympathy. Williams, Nancy (Von Gries). Beloved wife of Michael Williams. Loving mother of Sarah Marie Von Gries (Joey), Crystal Ann and Kimberly Dawn Backscheider. 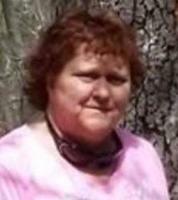 Step mother of Michael Lee Williams, Jr. (Cayla) and Rachael Renee Backscheider. Devoted grandma of Brennen Payton, Nathan, Kylee Backscheider (Jonathan), Emily Backscheider, Phalen Backscheider, Ethan Robinson and Aaliyah and Avaeah Williams.. Great grandma of Taylor Lee Rahm. Dear daughter of Sylvia (Schrieber) and the late Clifford Von Gries. Step daughter of Wanda Von Gries. Loving sister of Barbara McKinney (Lee) and Mary Beth Von Gries. Also survived by many loving nieces, nephews and friends. Passed Feb. 2, 2019 Age 51. Visitation Thursday from 10:30am until time of funeral services at 12 noon at the Landmark Baptist Church, 1600 Glendale Milford Rd, Cincinnati, OH 45215. Burial at the church cemetery. Donations may be made to defray funeral costs c/o Neidhard Minges Funeral Home, 3155 Harrison Ave. Cinti., OH 45211. "now God don't like ugly, Angel" she was always telling me this when someone did me wrong. And she always said she loved me and my family. And always reminded me that we were special. I'm truly going to miss you Nancy. Save me a spot up there beautiful.